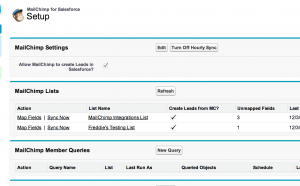 We recently integrated MailChimp for Salesforce for better email campaign management. This integration, which can be found in AppExchange, allows us to execute a MailChimp Campaign, and then monitor the data as activity history in Salesforce. Once the integration setup is complete, Salesforce users can conveniently design, send, and track a branded email- right inside of Salesforce. Instead of manually exporting email lists from Salesforce, contacts can be automatically imported through the integration. 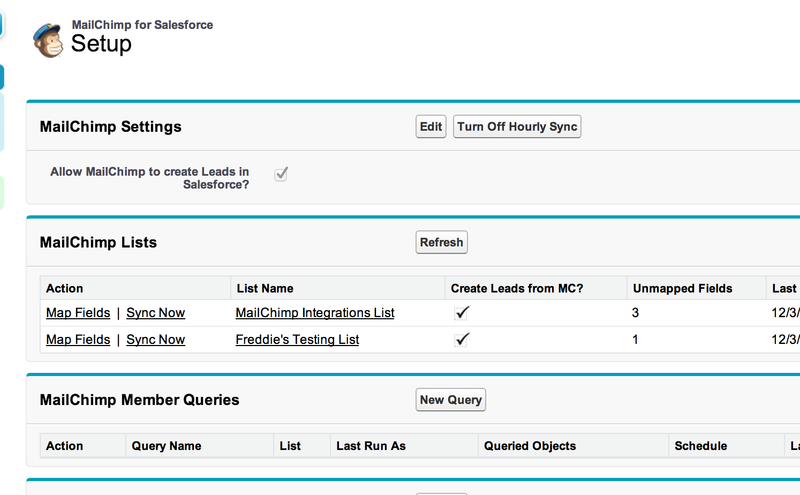 Then, segments can be created by using the Query Builder which adds existing Salesforce contacts and leads into groups. The Query Builder also allows users to strategically filter contacts, leads, and campaign members based off of certain fields. If you have a specific group of contacts you wish to send a campaign to, set up a simple filter to include or exclude a certain contact field. Another benefit of the Query Builder is setting a schedule to run a query daily, so lists are always up to date. The Campaign Builder, found under the MC Campaigns tab in Salesforce application, is what allows you to design and send off your email. Designing these emails in Salesforce eliminates the drag and drop templates that MailChimp offers, but it does allow you use classic and custom-coded templates saved in a MailChimp account. MailChimp offers both a free version and paid packages that allow for more customization tools and more campaigns. This MailChimp for Salesforce integration has allowed us to easily transfer data between the two applications. We can see complete subscriber details and their MailChimp activity. A large benefit that we see is generating new leads and creating customized subscribers lists based off of Salesforce fields. Syncing the two allows us to obtain and report data from campaigns in an organized and effective manner.